Helder is an independent filmmaker with awards and merits earned for his writing, directing, editing and producing. He can communicate his vision in a way that excites his collaborators and produces genuine confidence from everyone involved in his projects. He is also a professional producer at Pretzel Logic Productions in San Diego, and does amazing work for clients that range from branded content to TV commercials. Helder has been featured in the Portuguese national news (RTP) for his love of creating Portuguese focussed content in the United States. Helder’s reputation as a screenwriter and director is raising quickly in San Diego and is excited to continue his growth as an independent film writer and director. His Youtube web series, The Someone, is continually gaining new viewership and his fans are patiently waiting for the next episode to release. Having a vision, communicating it to a team and watching it come to life is my greatest passion. 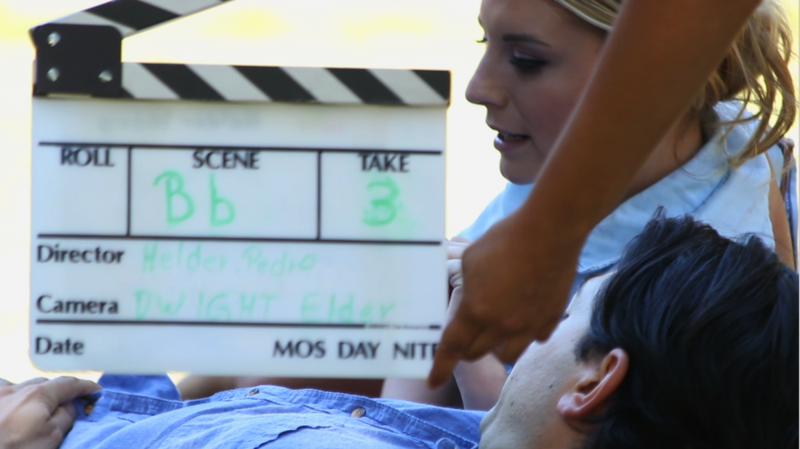 So far I have directed over five short films with crews that range from 5 to over 35 members. I have won awards for my directing. My latest short film is, "The Someone". I am an avid storyteller. Everything you see on the screen needs a story. I have put stories together for narratives, documentaries, reality TV series and corporate videos. Producers hire me because I'm talented, easy to work with, and fast. You can dump a gigaton of footage on my desk and I'll have a quality video for you in no time. I've done it all, from narratives, documentaries, TV shows, TV spots, corporate gigs and web series.